Also known as high execution tubular heaters or cable heaters, our hot runner coil heater is manufactured with high-temperature safety wire, chrome nickel steel tube and a compact MgO. Sunrise Products is recognized as one of the most illustrious Hot Runner Coil Heater Manufacturers In Delhi. These heaters are often used in places where space of warming is restricted. Developed with our inherent thermocouples, they can bear high wattage in standard sizes without much of a stretch. We fabricate them with propelled engineering using grade quality raw material. You can avail our Stainless Steel Hot Runner Coil Heater in standard sizes. High Watt Densities - These heaters are known for their high watt densities in the market, and that might be a major reason behind their high demand. Resistant To Mechanical Shocks - Our heaters are designed in such a way that they display great resistant to mechanical shocks. Rugged Construction - The rugged construction of our heaters makes them highly durable. 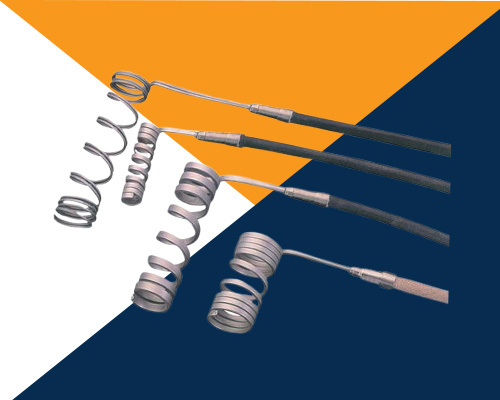 We are one of the eminent Hot Runner Heating Element Exporters and Suppliers in India. Get our Coil Heater right now by giving us a call.